Capri by Fraser, Johor Bahru / Malaysia is the second property in Malaysia under the Capri by Fraser brand from Frasers Hospitality, an award-winning global hospitality operator. 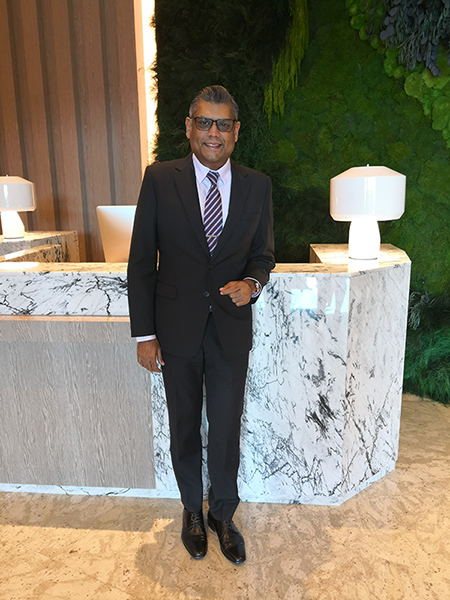 General Manager Manoharan Mannarlingam brings with him over 20 years of experience in the hospitality industry and is responsible for the overall performance of the property, stretching from performance objectives to overall revenue management. 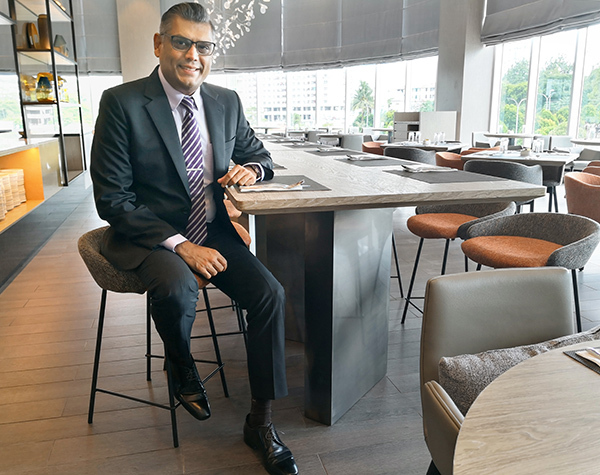 Manoharan was previously the General Manager of The Scarlet Singapore; Group Operations Director for Grace International. Tell us more about Capri by Fraser and what are its unique selling points? Capri by Fraser was first launched in Singapore with the opening of our Changi City property in 2012. A design-led hotel residence, Capri by Fraser is a hotel residence aimed at millennial travellers who demand efficiency and connectivity and seek out authenticity in cultural experiences. For Capri by Fraser, Johor Bahru / Malaysia, we’re well-positioned at a very desirable address surrounded by many lifestyle, dining and entertainment options. A short walk away from the Johor CIQ as well as City Square Mall, Komtar JBCC and PERSADA Convention Centre, our property is the ideal base for business and leisure travellers alike. There is a lot of interesting design elements in the hotel as it attracts our target market of corporate clients and young patrons. We have fully-furnished studios and one-bedroom apartments, some with sea views. The Capri brand is a 4 to 4.5 Stars range hotel so that’s what we are targeting over here as well. What are among the facilities provided? A key feature of our Capri by Fraser brand is our Spin & Play 24/7 themed laundrettes, a unique self-service laundry concept fitted out with games to keep one entertained while waiting for their washing to be done. Safety is also important to us, so our concierge and security are available round the clock too. Other key facilities include complimentary high-speed Wi-Fi, well equipped 24/7 gym, swimming pool with a children’s wading pool, as well as our all-day dining restaurant, Caprilicious, and Delite, our deli corner for meals on the go. Although we don’t have a business centre but instead we have a Hotspot area in the lobby equipped with iMacs for the guests to utilise, as well as a purpose built four meeting rooms which can be combined. What is the most important element in running a hotel? We are in the hospitality industry so service takes a primary role. Frasers Hospitality is known for its trademark intuitive service. In the age of technology, we believe the human touch is still irreplaceable. Moreover, upholding a high standard of service is very important to us in helping each of our guests walk away with a memorable experience. Here’s a quick rapid fire session for you! How do you manage expectations from owners while maintaining standards from the operator? It’s all about balancing. Both entities have their own expectations and as a General Manager, it is my role to find the balance between maintaining brand standards while making a profit. The owners engage a management company for a reason and that reason is for the branding and standards that the company carries. As the GM, I also need to evaluate if the brand requirements can be done differently or in a more cost effective manner without compromising the standards. How do you stay above the competition? Meeting our guests’ every need accompanied by intuitive, real and sincere service has enabled us to stay at the forefront. We also use technology to enhance both the customer’s journey from pre-to post-stay, as well as to boost staff’s productivity. This is something we are working towards for the Capri by Fraser brand especially with the upcoming launch of Capri by Fraser, China Square / Singapore, which will act as a testbed for many exciting initiatives like RFID tagging for linen and laundry as well as an app that will allow guests to check in and out remotely ahead of their arrival at our property. It’s a growing niche market and we are not competing for their clientele. Even though some of our offerings are rather similar, like the provision of a kitchen/kitchenette and self-service laundry but the patrons of Airbnb are not really looking for personalised service. Guests of the Frasers Hospitality brand can expect round-the-clock security besides good service and housekeeping as well as the convenience of a central location, allowing guests to travel without worry. Why I said we have fantastic food here is because it is true! We have a mouth-watering all-day buffet or tempting à la carte options at our signature all-day dining restaurant, Caprilicious. Recognising that some guests may be looking for quick bites between their busy schedules, we also offer grab-and-go meals at our deli, Delite. We’ve really put in a lot of effort to make our food stay true to their original style and memorable, and have put in many hours to perfect the dining experience at Capri by Fraser. Our Nasi Lemak is a personal favourite of mine (laughs). The sambal, the rice, the chicken, it truly hits the spot!